We were at the Musee du Louvre in the 1st Arrondissement of Paris, when we took these high definition photos showing a sculpture called L'Histoire et la Poesie, which was produced by Pierre Jules Cavelier. 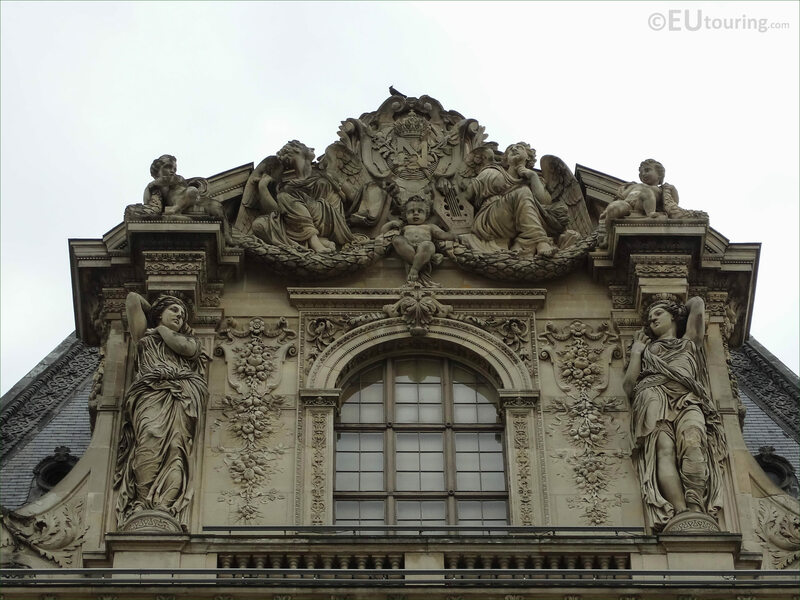 L'Histoire et la Poesie translates in English to The History and the Poetry, and as you can see from this first HD photo, this is the ornate pediment that has a letter N within it, used to symbolise the Empire, and it is located by the roof line above the dormer window on the former Palais du Louvre. Now this was sculpted by Pierre Jules Cavelier who was born in Paris in 1814 and studied sculpture and painting, but won the Prix de Rome in 1842 for sculpture, which meant he could further his studies and chosen career at the Villa Medici in Italy. Pierre Jules Cavelier produced several statues and sculptures for famous tourist attractions in Paris, before becoming a professor at the Ecole des Beaux Arts, where he taught other French sculptors such as Louis Ernest Barrias and Hippolyte Lefebvre. 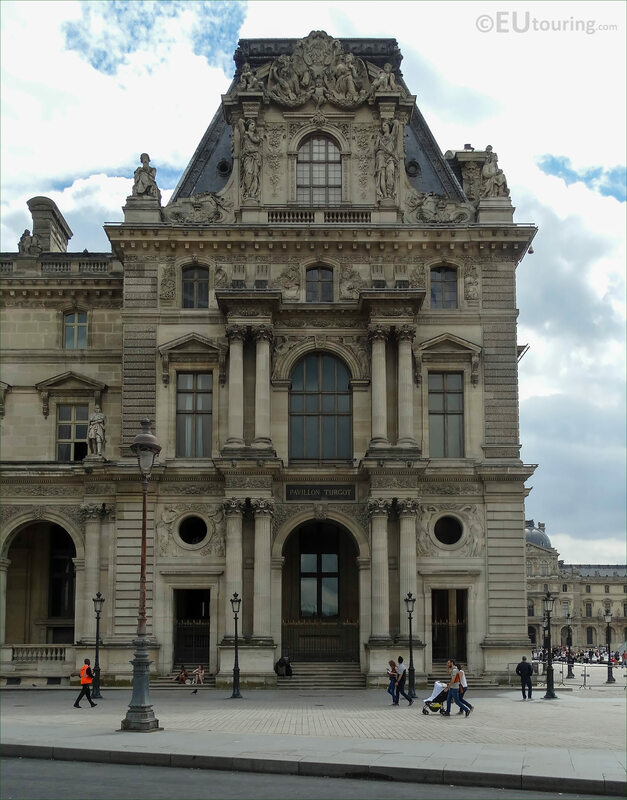 However, this next photograph shows the entire western facade of the Pavillon Turgot, with The History and Poetry pediment at the very top, and this is a wing of the Louvre Museum that faces into the Cour du Carrousel looking towards the Jardin des Tuileries.